“In the sixteenth century, when the Turks had conquered the greater part of Hungary, Eger became the protecting bulkwark of the northern regions. After Buda, the capital, had fallen to the Turks, they tried to extend their dominion northwards to the Carpathians in order to carry through outflanking movements towards Vienna in the west and the southern territories of Poland in the east. Eger already had a fortress, built by Italian experts in fortification, to guard the valley which was the natural line of advance to the north. It was on these walls that the memorable battle for the defense of Eger was fought. A garrison of not more than two thousand, under István Dobó, resisted the challenge of a Turkish force said to be a hundred and fifty thousand strong. 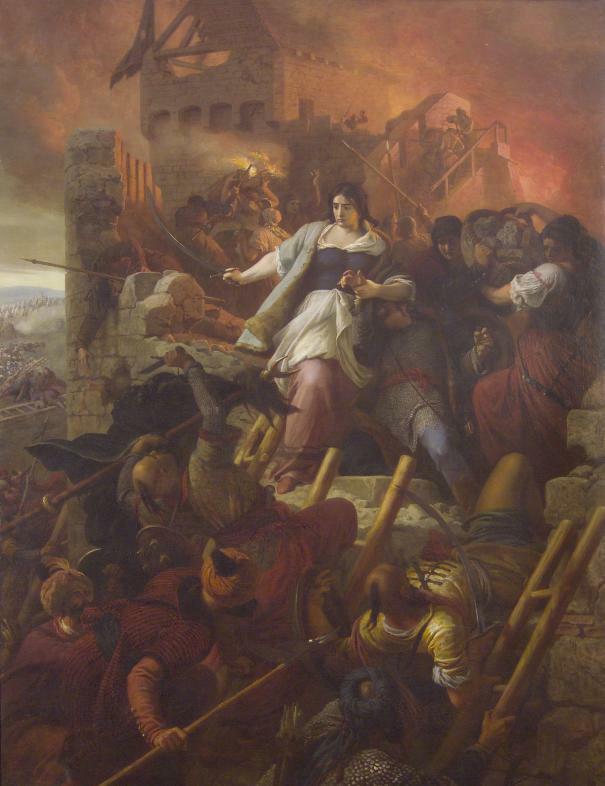 The citizens of Eger fought with dauntless courage, and when the fort seemed to be in danger of capitulation, the women joined the battle, gurling down cauldrons of boiling water and tar against the onrushing enemy. The struggle was finally crowned with victory, and the Turks turned back. This great feat has passed into literature. Not only dies every schoolchild in Hungary learn of it, but works of fiction have been written round it, among them the popular ’Stars of Eger’ by Géza Gárdonyi, a lasting work of Hungarian youth literature…. Iván Boldizsár, ed., Hungary (Budapest: Corvina Press, 1965), 262-3.